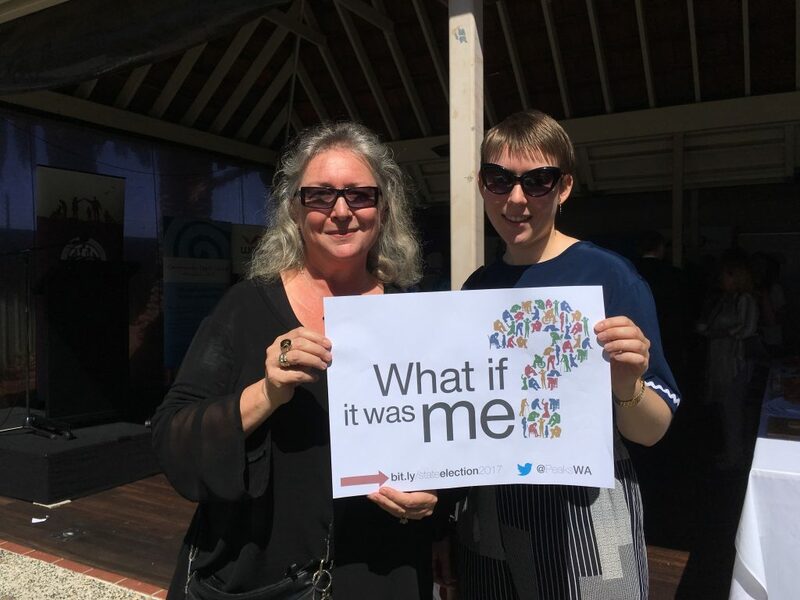 On Friday 20th January 2017, the WA Council of Social Service (WACOSS) launched it’s latest campaign, “What If It Was Me?” at the WACOSS New Year Sector Breakfast at King’s Park. The breakfast was attended by JEDO Director, Carol Mitchell, and JEDO Administration Assistant, Maddy March-Anthony. The campaign is being run in the lead up to the WA state election in March this year, and aims to put social issues on the agenda for the election. 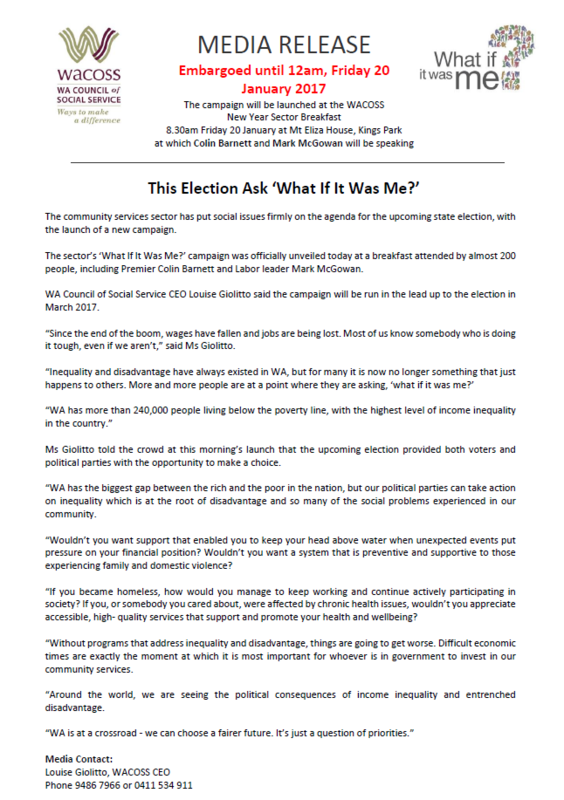 Click on the image below to read the media release and find out more about the campaign.